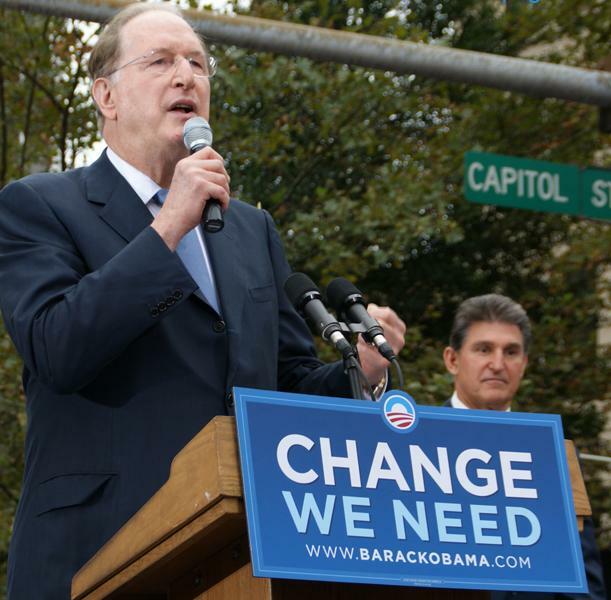 April 27, 2012 by Ken Ward Jr.
We’ve asked before here on Coal Tattoo if West Virginia Sen. Jay Rockefeller will really step forward now and lead our state toward sound policies on energy and climate change and, most importantly, our relationship with the coal industry. Sen. Rockefeller offered West Virginians who desperately want someone to lead on these issues a bit of hope with his reaction to the U.S. Environmental Protection Agency’s new proposal to limit greenhouse gas emissions from coal-fired power plants. But truth be told, Sen. Rockefeller only looked so good because our other elected officials and other leaders were so quick to go so far out on the deep end attacking EPA (see, for example, UMWA President Cecil Roberts). 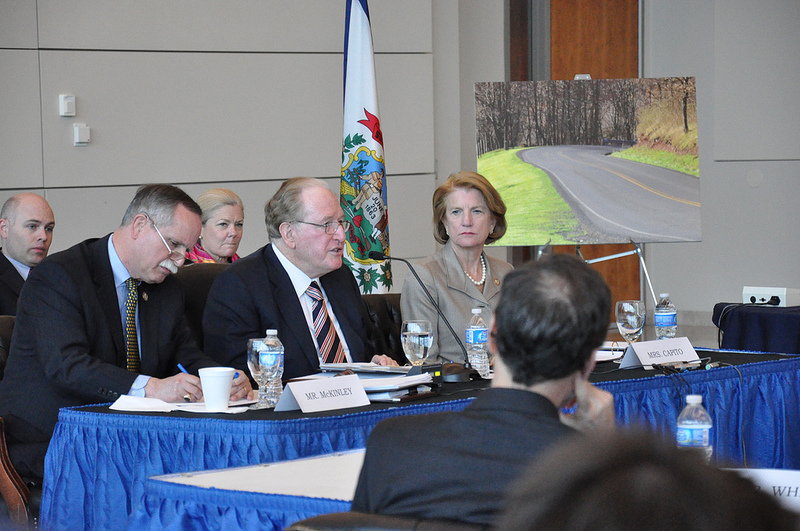 National surface transportation programs are critical to our economy and its continued growth. The Senate passed a responsible, bipartisan two-year surface transportation bill which included common-sense safety provisions and protected hundreds of thousands of jobs. The House never actually voted on a version of the surface legislation and we should focus on finding common ground, not pushing unrelated issues. Right now, my goal as we begin the conference process is coming up with legislation that protects jobs and investments in our roads and bridges. To remain competitive in the 21st century, we must create a national surface transportation policy that reflects anticipated population growth and provides our safety agencies with authority to protect the citizens who use these systems. Separately, I want to make it clear that I cannot support the environmental provisions that have been attached to the surface bill by the House. These riders would jeopardize the tremendous bipartisan support this bill has had so far in the Senate. Contrast that to the contortions that Rep. Nick Rahall had to do on the House floor, as he tried to criticize the Republican version of the overall transportation package, but make sure everyone knew he supported whatever coal-ash language Rep. McKinley and the industry were pushing. Not for nothing, but my good friend Rep. Rahall seems to have done a bit of a flip-flop on coal ash, supporting Rep. McKinley’s effort to block all federal regulation of the material, after previously introducing his own bill that — while different from EPA’s approach — would have established tougher federal oversight. At least 49 power plants have acknowledged groundwater contamination at levels that exceed federal or state standards, according to data submitted to the USEPA Office of Water and obtained through a Freedom of Information Act request by the Environmental Integrity Project (EIP). At least 28 of those have come to light only recently, including five in West Virginia, three in Iowa, North Carolina, and Texas, and two each in Colorado and South Carolina (see analysis and highlighted attachment). — Cadmium (a toxic pollutant that can damage the kidneys, lungs, and bones) at 10. West Virginia plants listed in the report are in all three of West Virginia’s congressional districts, by the way. Physicians for Social Responsibility delivered to the Obama Administration today a petition signed by 840 medical doctors, health scientists, nurses, and other health professionals outlining the harm that exposure to toxic coal ash imposes on human health. Accompanying the letter are eight doctors from Florida, Iowa, Pennsylvania, North Carolina, Massachusetts, and Georgia who will meet with their elected officials in Congress. So you have to wonder why Sen. Rockefeller — who professes a great interest in health-care issues — isn’t just criticizing Rep. McKinley’s efforts, but isn’t also taking the lead on pushing EPA to actually get around to issuing its new coal-ash standards. Wouldn’t preventing anybody from getting sick from coal-ash polluted water help lower health-care costs, Sen. Rockefeller? But remember that Sen. Rockefeller, along with Sen. Manchin, co-sponsored Senate legislation that is nearly identical to Rep. McKinley’s approach in the House. 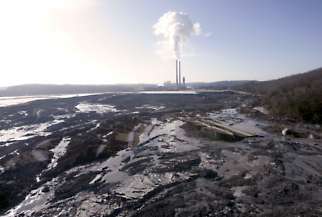 … Still, Rockefeller said Congress does need to help “find the right balance” on coal ash. “I have worked on coal ash for more than a decade with West Virginia stakeholders and more recently with my colleague, Congressman McKinley, and I always made it clear that I believed the legislation would need to be improved before it could pass the Senate and be signed into law,” Rockefeller said. But when I checked this morning, Sen. Rockefeller hasn’t removed his name as a co-sponsor of the Senate version of McKinley’s coal-ash legislation. Sen. Rockefeller always seems to take a step up, but then a step back, on any efforts to truly confront the challenges West Virginia and other coalfield states face moving forward on energy policies and the impact that energy industries have on our environment, our public health and our way of life. Remember the speech in which he famously talked about how he doesn’t “sugarcoat” things with his friends in the coal industry, and then did just that? We touched on a number of things during the discussion. For example, Marshall County Sheriff John Gruzinskas told us all about the damage to his community’s roads from heavy trucks, and danger from out-of-state subcontractors who are unfamiliar with our winding West Virginia roads. We talked about what is being done by responsible companies to mitigate those problems, and whether we must do more, like hiring drivers who know our roads. But the big picture is that shale gas offers tremendous opportunity to West Virginia. The experts I convened know what it will take to guarantee West Virginia maximizes the full potential of this booming industry. Through the Commerce Committee, my aim was to look at the infrastructure needs we must meet to mobilize a rebirth of West Virginia manufacturing. What Sen. Rockefeller didn’t say was that the hearing was an almost hopelessly one-sided affair in some respects, with industry getting most of the witnesses and no one from any citizen group being invited to testify. Sen. Rockefeller’s staff have taken great offense at such criticism, noting that Marshall County Sheriff John Gruzinskas testified in great detail about the threat to his community’s road and citizens from out-of-control gas industry truck traffic. Sure, the sheriff told important parts of the story. But he was only one witness. Labor groups that are concerned about whether the industry is hiring West Virginians got only one witness. But the industry got five witnesses — two from trade associations and one each from three different companies. Instead of stacking it that way, why not put someone like Ted Boettner from the West Virginia Center for Budget and Policy on there to talk about potential problems with the boom-bust of this industry or questions about the sorts of incentives the government offers, including taxpayer-funded infrastructure improvements? Or why not give the industry one spot, and bring in four actual citizens who live with the traffic and other issues associated with the Marcellus Shale boom? Sen. Rockefeller keeps taking baby steps toward leading us on these issues, but you have to wonder if such small steps mean it will be too late by the time he gets there. On the Marcellus op-ed today, I did not see a word about air and water pollution or devastated homes,, farms, and communities. Keep wondering, Ken. It is a sign that there yet resides in you some degree of optimism and idealism, and that’s a good thing. Some of us stopped wondering quite awhile back based upon the real world results we got from even the mildest, most genial attempts to get Senator Rockefeller to acknowledge even the bare existence of that “growing body of scientific evidence” to which you have periodically referred. He won’t do it. Just.Won’t. He won’t even take a personal meeting with people directly impacted by Mountaintop Removal, people whose children have been sickenened, and whose homes have been daily coated in toxic dust and oily grit. Just.Won’t.